In one of the more memorable scenes from the film, the camera follows Malcolm en route to Manhattan’s Audubon Ballroom on that fateful day in February of 1965, as Sam Cooke’s amazing opus, A Change Is Gonna Come, plays in its entirety. I was reminded how this song is so moving and has such significance, especially in light of today marking 40 years since Robert F. Kennedy had his life taken. Cooke himself lost his life to violence in 1964. He was only 33, and did not live long enough to see A Change Is Gonna Come released, and later go on to be considered one of the greatest songs ever written. Another moment of pure serendipity will come on August 28th of this year, the 45th Anniversary of Dr. Martin Luther King’s “I Have A Dream” speech, when Barack Obama gives his acceptance speech at the Democratic National Convention, in Denver, Colorado. In many ways, so much of Dr. King’s vision will be realized at that moment, regardless of what happens in November. In the dark days of the 1960s, when it appeared that the forces of evil and intolerance would prevail, and the great leaders of the day were being cut down before our eyes, the seeds of a brighter and better America were sown. 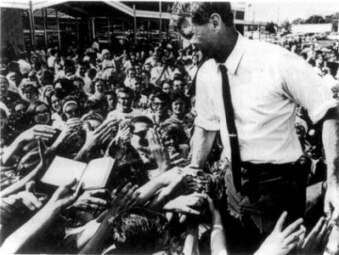 And in the following four decades, while it appeared that the progress was too slow, or that racism in America was simply lurking invisible in our institutions, a whole new generation of Americans gave birth to another, a generation that values other people not based on the color of their skin, but on the quality of their soul. Bigotry and ignorance of course still live; but the signs that their coming death is imminent are everywhere. Young people, progressives, and minority voters are energized like never before, and their will to realize the great promise of America has manifested itself into the largest and most effective grassroots political organization this country has ever witnessed. And meanwhile, those who ignorantly adhere to a biased and intolerant vision of our society are being increasingly marginalized and put in their proper place – often by their own children and grandchildren. Yes, our generation is absolutely the most colorblind of any before it, and I’d like to take this opportunity to thank all our parents for that. 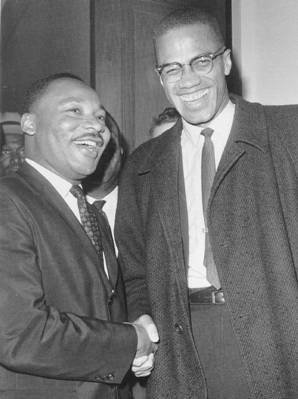 Somewhere, Sam, Bobby, Malcolm, and Dr. King are together, smiling. 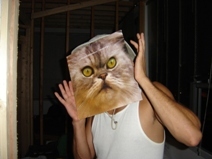 Who want’s to see my “O” face? Sam Cooke’s “Change is Gonna Come” has been in the cosmos a lot recently. One of the American Idol judges called it “an inappropriate song choice” when contestant Syesha Mercado sang it so movingly and brought herself to tears. Of course we all know the judge just didn’t get it. When Sam heard Bob Dylan’s “Blowing in the Wind” he said that he should have written that song! He loved it. Then he sat down to write his own “Blowin”” and gave the world “A Change is Gonna Come”. I wonder if Senator Obama will use it as the theme song for his campaign? I think he should. Hope he does. Thank you very much for talking the time to read my piece, and leaving a comment. It is greatly appreciated. I’m gonna guess that it was either Paula or Randy who deemed A Change Is Gonna Come “inappropriate;” although for the life of me I can’t imagine why. I can’t think of anything more “appropriate,” in fact. Good idea about Obama using the song. And thank you for the trivia about Dylan’s influence on Sam Cooke; that’s very interesting, and says a lot about both artists. I checked your blog out, and it looks very good; I’ll be back. I am wondering how you came across my blog? We don’t know one another, do we? I’m guessing through one of the tags. Since this is a new endeavor of mine, I’m very excited to see someone reading my stuff that isn’t a friend or relative. 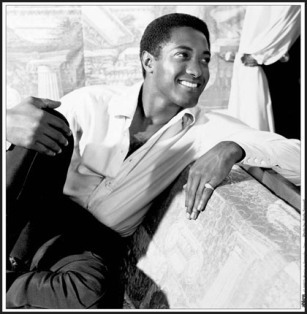 In an ironic twist of fate, Sam Cooke mentioned to his brother that “A Change Is Gonna Come” is going to be his most popular song and he was absolutely correct. The song, much like Marvin Gaye’s “Inner City Blues” are timeless because they continue to be relevant today. Great post, keep it coming scholar!